As many of you are aware, the Maroondah Carols were postponed from last Saturday to this Saturday 9th December. This presented a clash between our regular competition and the setup activities required for the Carols. 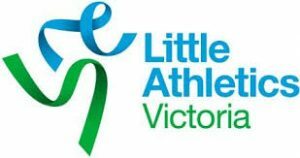 We have met with Maroondah Council and a plan is now in place so that our competition this Saturday won’t be impacted. There will be restricted car parking on Saturday as the stage will be set up in the car park. The marquees and food vans will not be set up until after midday to allow us time to complete our event. Set up will be as normal, kicking off from around 7:45am for an 8:30am javelin event. Warm up for all other events will be at normal time of 8:45am. As we have had a couple events washed out this season and will have our usual Christmas breakup impacted due to the Carols setup, we have decided to hold a Croydon Little Aths Twilight Xmas picnic on Friday 15th December! This won’t be a normal twilight program. We will only run minimal normal events and will have a couple of Christmas fun events as well. The Centre will put on a free sausage sizzle and soft drinks will be available for purchase on the night. Tinsel up and come along in your best Xmas gear! Pssst…. There may also be a special visitor on the night..
We will be handing out raffle tickets this Saturday. Attached is the flyer for the raffle including information on raffle prizes. There are some pretty cool prizes. The raffle will be drawn on Friday 15th December at 7:30pm. We will be collecting the ticket stubs this Saturday and also on Friday 15th December before the draw. If you are not able to make it to the Friday 15th Christmas twilight, they can be dropped into Wednesday night training on 13th December. Prizes will be drawn and winners notified if they are not in attendance. Monies raised through this raffle will go directly back into the Centre for equipment purchases for both competition and coaching.